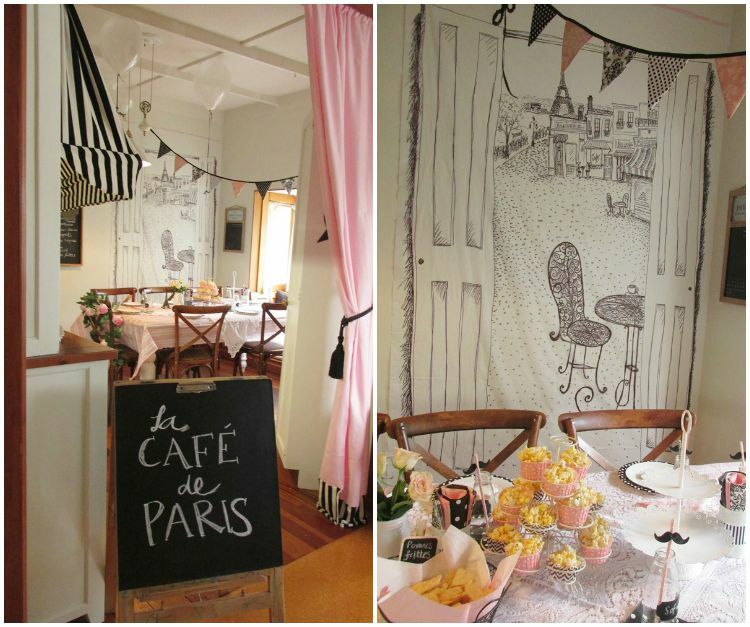 Great Fun etc: La Café de Paris Party - c'est magnifique! 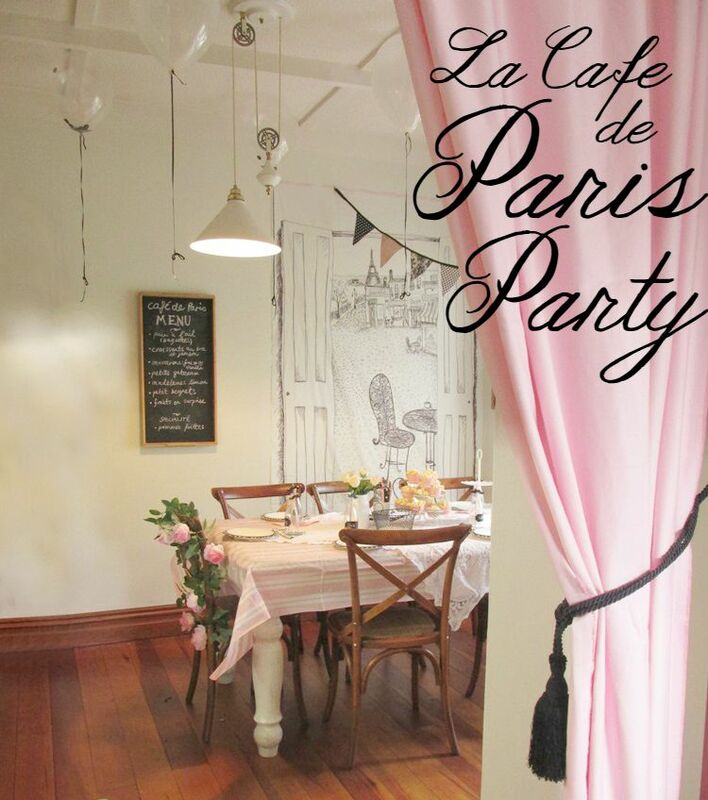 La Café de Paris Party - c'est magnifique! 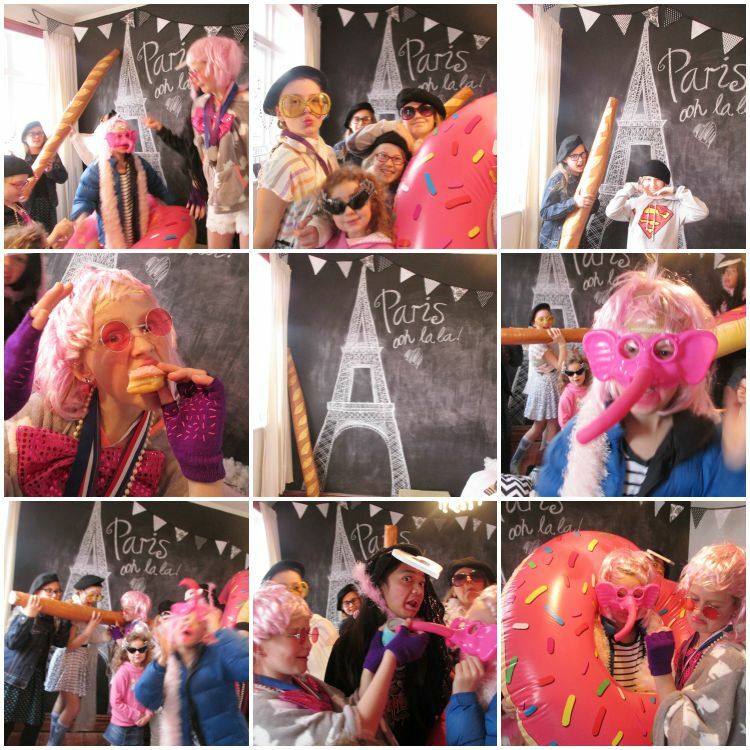 The day finally arrived - Sunday was Miss Fab's Paris Party at long last, after months of planning and preparation. 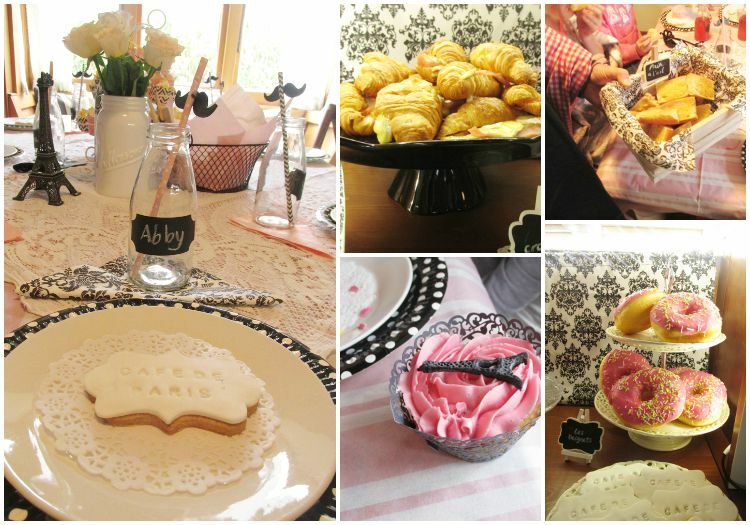 The cakes were baked, the croissants and macarons purchased. 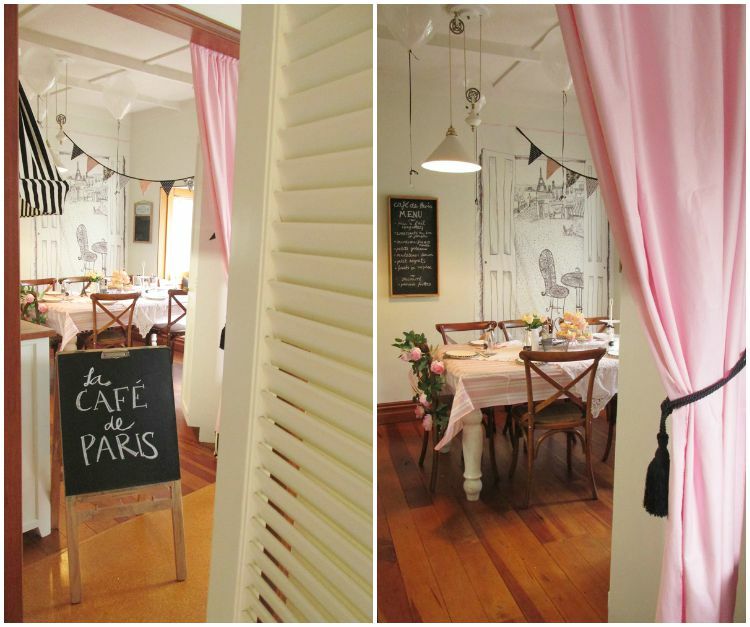 The bunting was hung, and so were all the other homemade decorations: the Patisseries canopy, the Paris street scene sketch, the blackboard menus etc. Ooh la la, but it was all looking très magnifique! 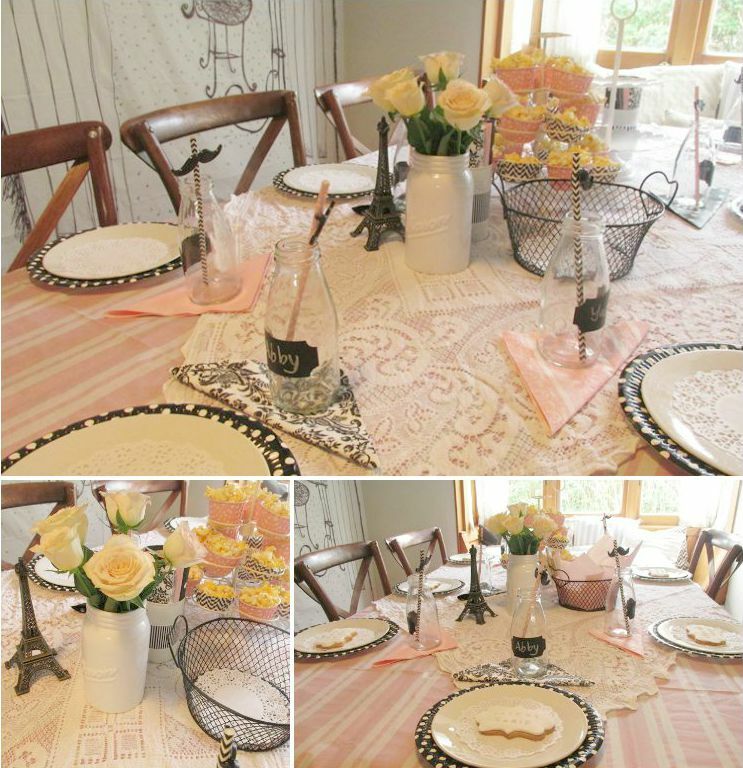 This was a party that looked absolutely gorgeous (if I do say so myself), but the true test of a party is not whether the photos get repinned a gazillion times - it's whether the guests and the birthday girl have a fab time. 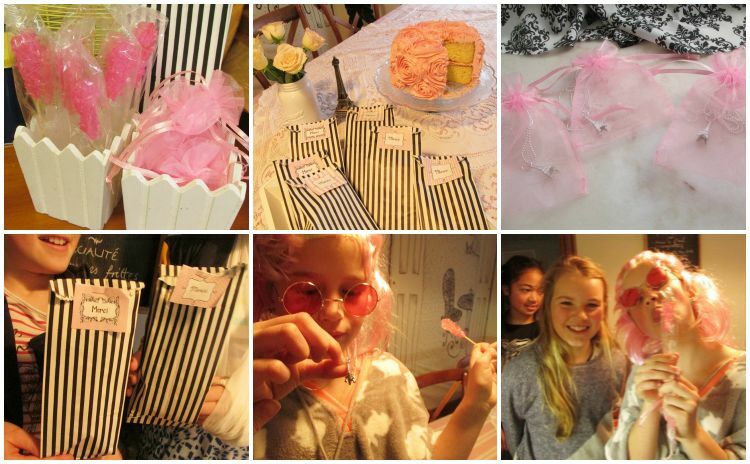 By which standard this was (and I quote the birthday girl): THE BEST PARTY EVER. Which is saying a lot. 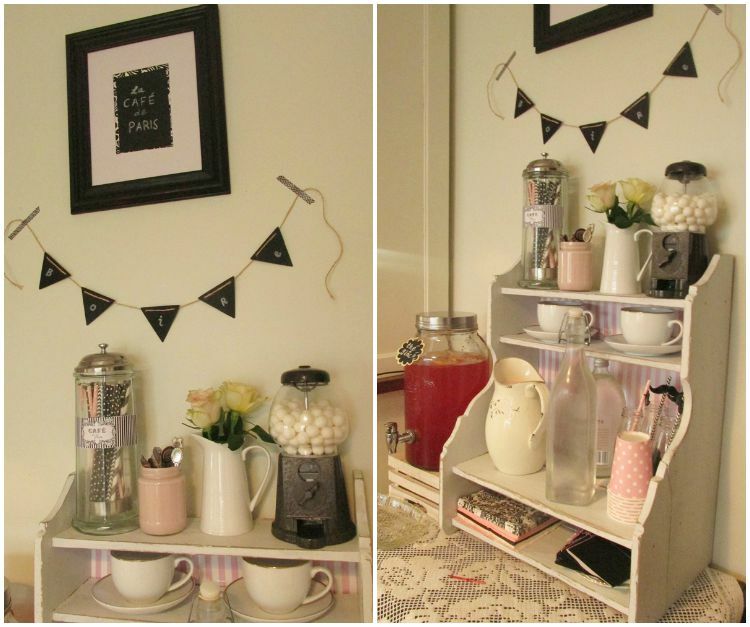 The Drinks Station: serving strawberry milk (du lait en fraise), strawberry iced tea (thé fraise glacé), water, sparkling or tap (l'eau pétillante ou du robinet) and café au lait for the grownups. Oh the prettiness. I was starting to feel like we might really be at a Paris Café. 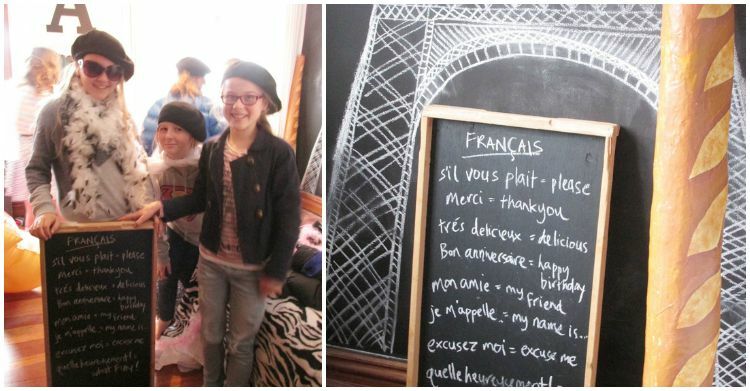 The plan for the party was very simple: Let the girls loose in the bedroom with the dressups, props and a camera, teach them a bit of basic French, then bring them into the Café where they would order their food from their menus en français, waited on by our family Garçon. 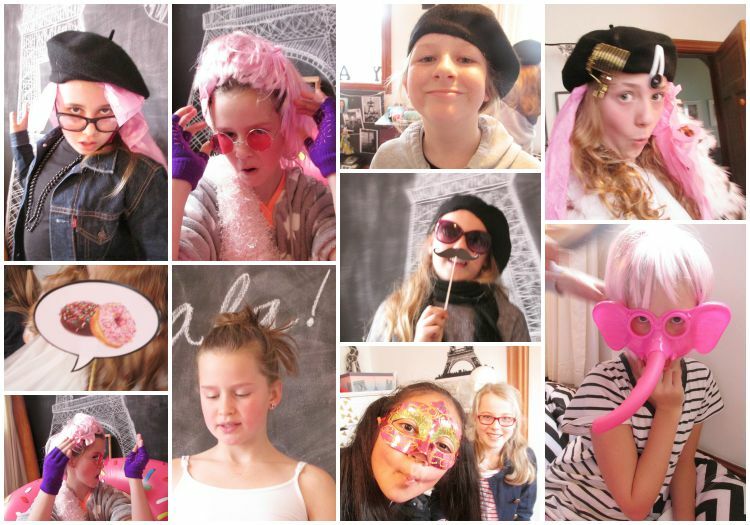 There were no other structured activities or games - this was a very creative, crazy bunch of girls and I knew that they would pretty much entertain themselves, given the right environment. 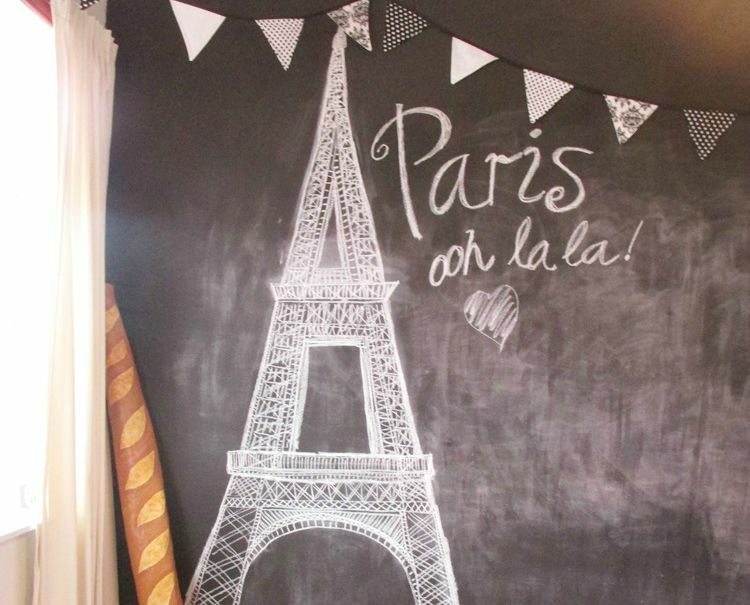 Black dotty garlands sewn by me; Eiffel tower wall decal from TradeMe; polystyrene heads found on TradeMe; scarves, glasses, masks and accessories found at SaveMart; black French berets from Ali Express ($2.50 each with free shipping). Giant papier mâché baguette made by a friend and donated to the cause! And that was before they ate all those patisserie goodies. Ah well. The main thing is they had FUN right??? Cos, boy oh boy did they have fun - the volume was at fever pitch. I was afraid to let that rabble anywhere near my beautiful Parisian Café. I had no choice but to ban silly "Sonya" from the Café. Ha ha. Abby is welcome but Sonya can stay outside. Really, if you'd seen Sonya in action, you'd know why I had to do it. With things calming down (and the birthday girl washing off the pink lipstick that was all over Sonya's face) I gave the rest of the girls a quick lesson in Parlez vous-ing français. Time to eat! 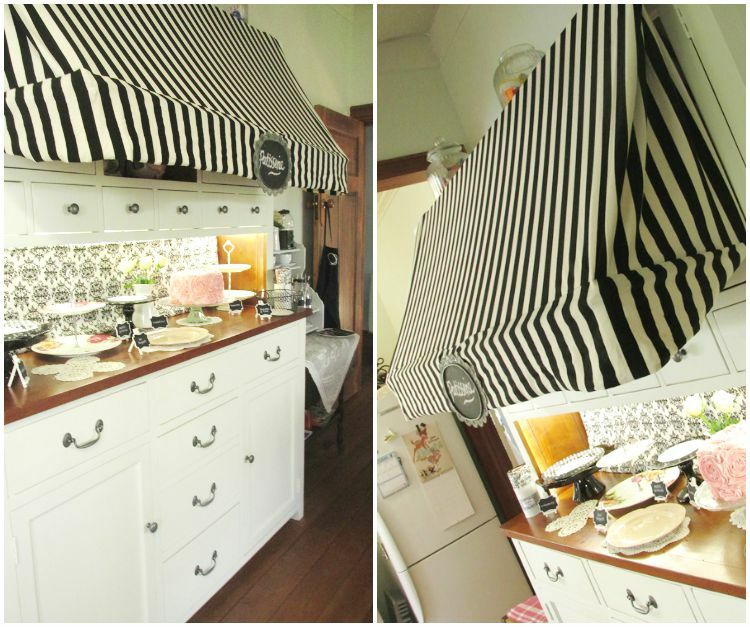 Bienvenue à Café de Paris! My hubby is always a good sport at our parties, willing to wear a moustache, put on a silly accent, and be ordered around by a bunch of hungry girls whose French leaves a lot to be desired, but who have no trouble calling loudly, "Garçon! Garçon!" 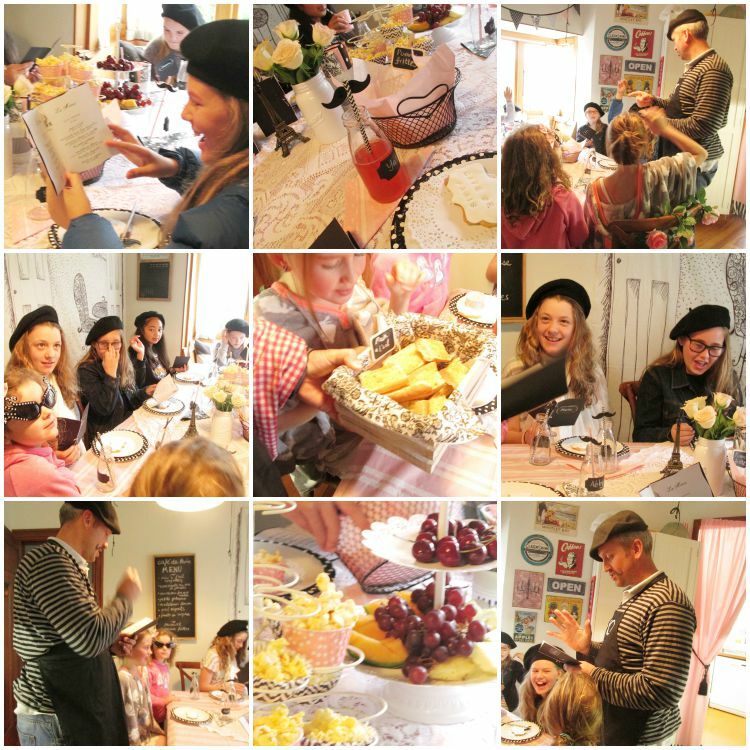 On the menu we had: croissants with ham and brie, garlic bread (pain a l'ail), macarons, madeleines, eiffel tower cupcakes, a fruit platter, popcorn and chips (pommes frittes), fancy "cafe de paris" biscuits and donuts. 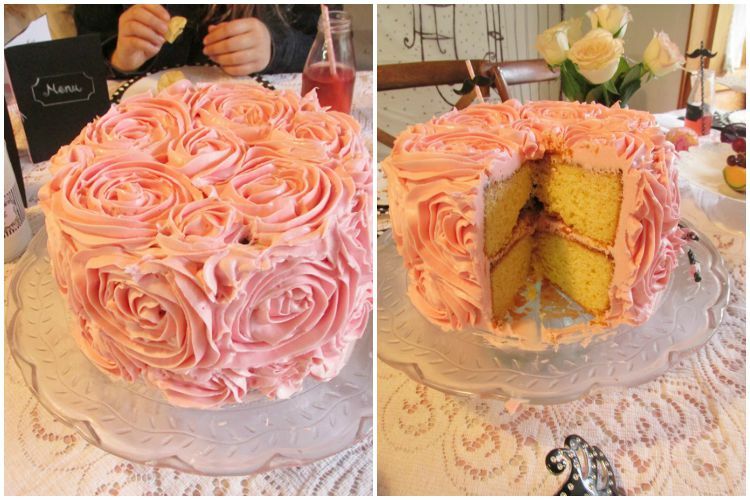 Giant pink iced donuts, just the way the birthday girl loves them. We called them "beignets" and figured what the heck. Like I said, at least they had fun. Time to light the candles on the birthday cake and sing happy birthday. 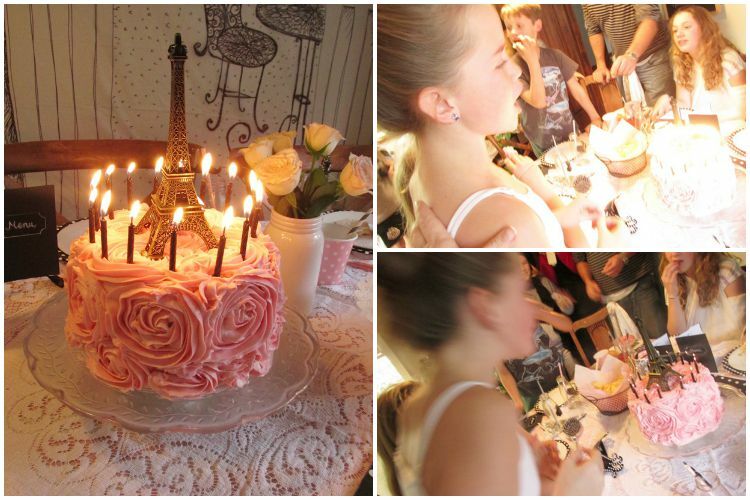 All in all my amazing crazy amped-up-on-sugar-and-life birthday girl declared this party HER BEST BIRTHDAY EVER. I'm inclined to agree. This party was fun to dream up and create. It was fun on the day and the guests had a ball. And it was beautiful (so beautiful I can't bear to take down the decorations yet). What more could you want?